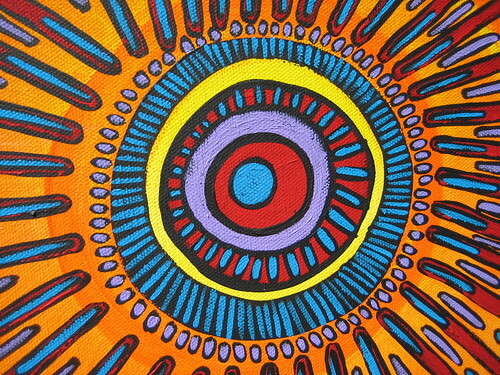 Join visual artist Stephanie Smith as she guides workshop participants through simple rhythmic drawing techniques to create a mandala - a circular art form which can be a powerful tool for meditation and creative self expression. Self-taught and often referred to as “fearless” by her peers for her bold artistic expressions across multiple media forms, Stephanie’s ultimate goal is to encourage creativity without fear of judgment. Through the use of motivational storytelling, Stephanie will empower and inspire those to wishing to bring art into their lives via an immediately accessible technique regardless of prior art experience. • Choosing the right art supplies for you & your budget. • What to do when wish to improve the overall quality of your creations. No previous art experience is necessary, and everyone age 17+ is encouraged to attend. Cost: $50 per person. All materials will be provided. Call (610) 433-0032 to register.